Glass legs, Brown and Gray wood veneer. Complete set with buffet and matching chairs. 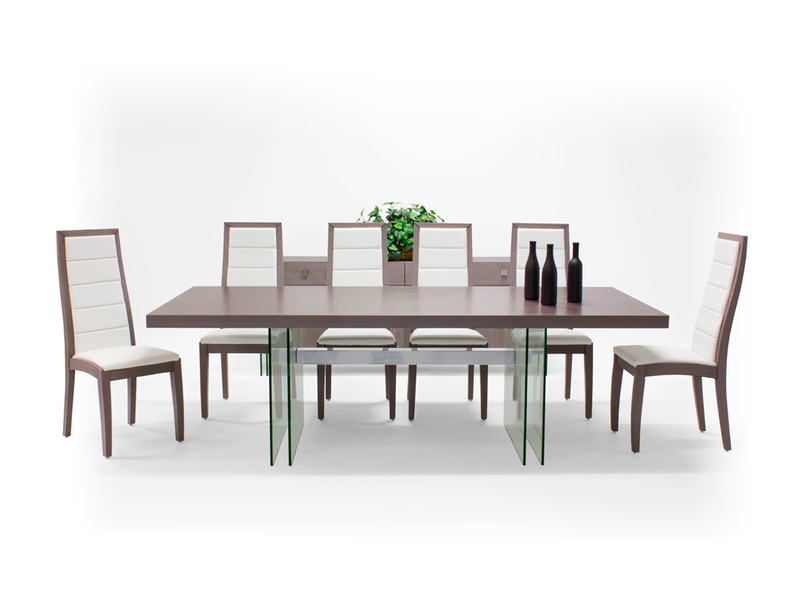 The Sh Orfeo Dining Table in a light brown/gray veneer is a beautiful contemporary table. 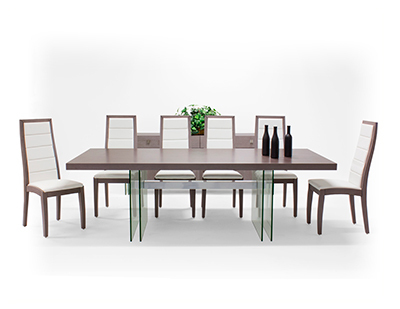 Resting on four square-shaped glass legs, this contemporary dining table seats up to 10 people. 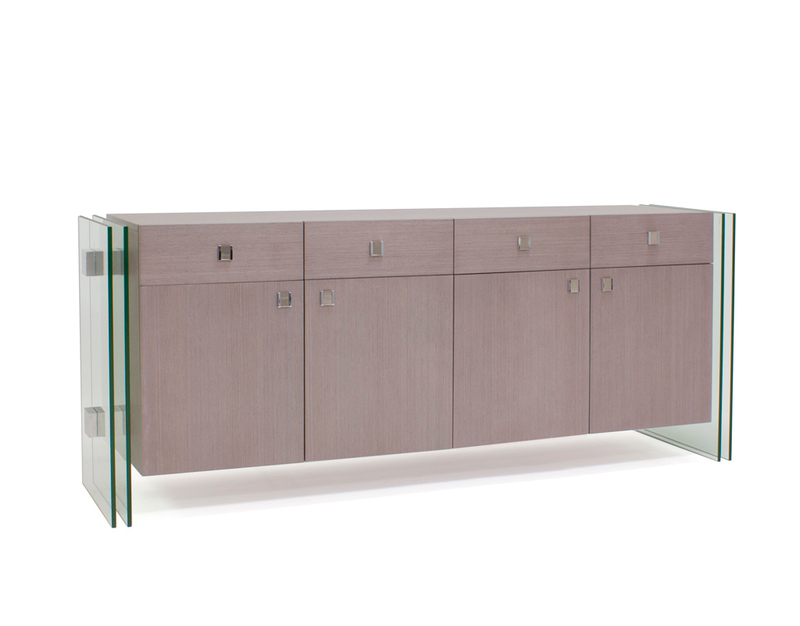 The Orfeo Buffet blends a light brown/gray veneer, glass and metal to create this modern buffet. 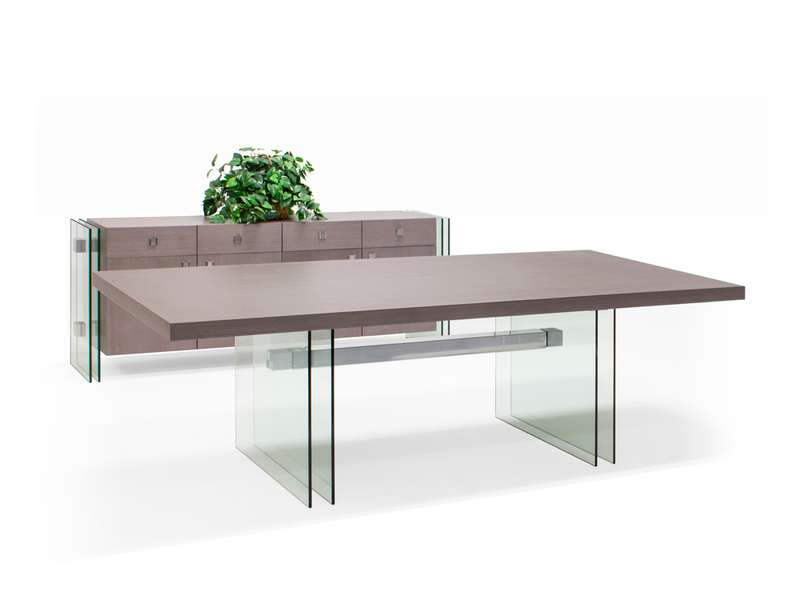 The four glass legs frame the case for a float-like look. The buffet features four drawers and four doors. 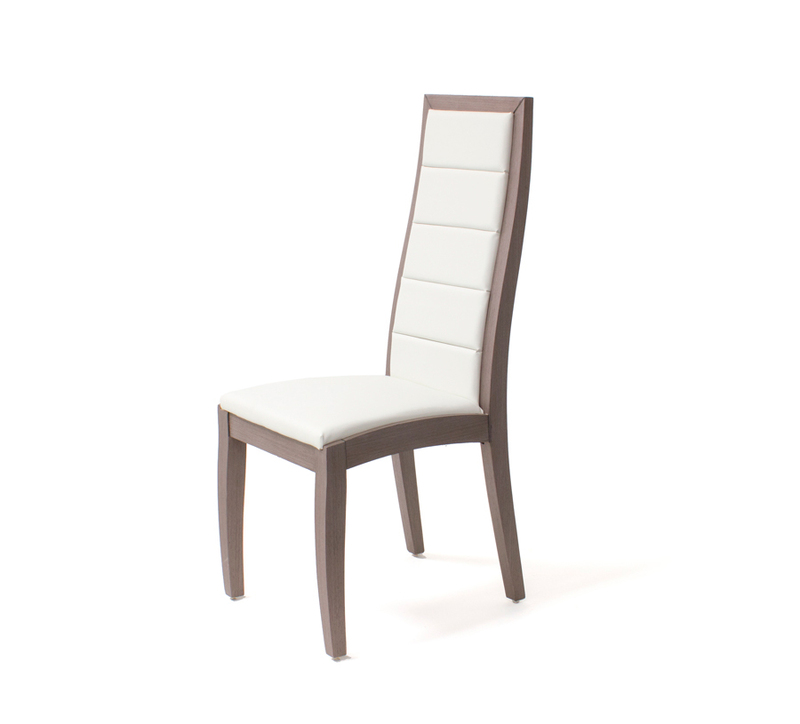 Chair in the same veneer finish completes the look of this beautiful set. Italian wood veneer top, Natural Oak or Canaletto Walnut.